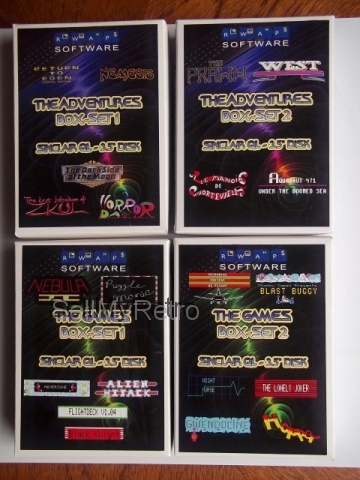 This is the first of several Sinclair QL Arcade Game Box-Sets released during 2014, to mark the 30th anniversary of the Sinclair QL Home Computer. 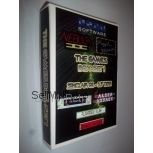 This is the Sinclair QL Games Box-Set 1. NOTE: 256K RAM is required as a minimum. Black Knight requires 640K. Nebula II is a space travel and trading game where you travel from planet to planet, buying and selling products and ore, making profit and taking advantage of the price variations in the solar system. Planets which are far from the centre are the most dangerous and expensive to access (cost of fuel, risk of being attacked by space pirates), but it are also where you can find the highest price variations, allowing you to make great bargains (whether selling or buying). Beware attacks from pirates, where the fight takes place in a very basic view from above, showing the spaceships. Once on a planet, you have a selection of options and places do go to (market hall, garage...), all with a text based interface, similar to an adventure. 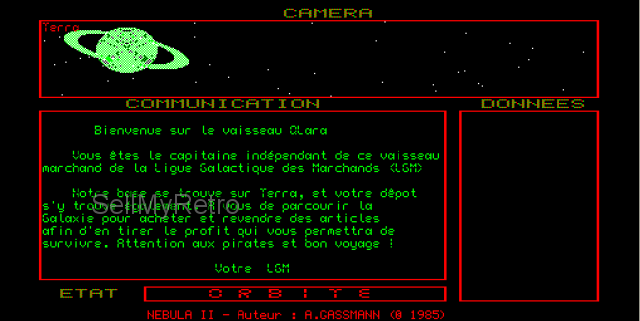 Comes with both the English and French versions of the game. Puzzle Mania is platform game where your mission is to journey about the danger ridden cells of Maniaville to retrieve the lost loot of Lawless Lenny. A puzzle picture at the start of the game, shows you the 8 pieces you need to find and return to the beginning in order to complete the game. However, your path is dangerous with various flying objects getting in the way and zapping your energy. Alien Hijack is a 3D Adventure game, based on-board a ship, where you are the engineer. Having entered the Bermuda Triangle, you find that the ship has been taken over by aliens and the crew vanished. You have to explore 192 rooms to collect 3 codes, which together form the shape of an anchor, avoiding the various entities inhabiting the rooms. With these codes, you can regain control of the ship. Hoverzone is an implementation of the arcade favourite, Defender, where you fly around a world where aliens are trying to abduct the citizens - you need to shoot down the various types of alien spaceships and rescue the inhabitants of the planet. FlightDeck is no simple flight simulator for the QL. It is based on a twin engined passenger jet flying around a 'world' of various airports and landscape features. The worlds can be edited and changed to suit your own flying skills as you progress. The view is from the cockpit, with shaded 3d views of the world outside the window, with VHF omni-directional range and distance equipment, automatic direction finding and an instrument landing system to aid you in your flight, just like a real pilot! Black Knight is a pointer driven chess program, which also plays a reasonably strong game. 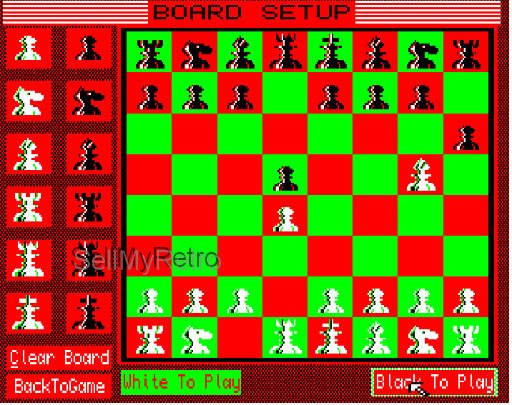 It is an implementation of the classic Chess game, with a graphical representation of the Chess Board. 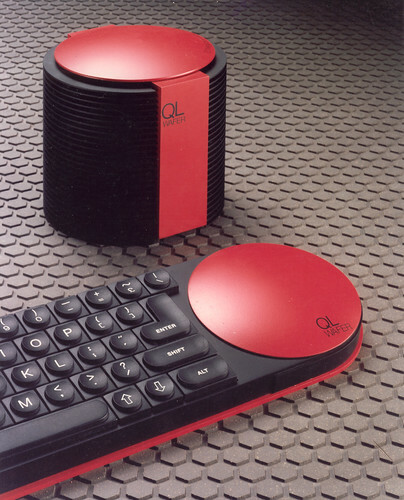 As well as the ability to play against the computer (with 10 levels), it includes two player and demo options, as well as the ability to set up the start position of the game.